54 Crown Street, Glasgow. S.S. The Grapes on the far right. A close-up of the image above, The Grapes. Thanks to Norrie McNamee for the photographs. 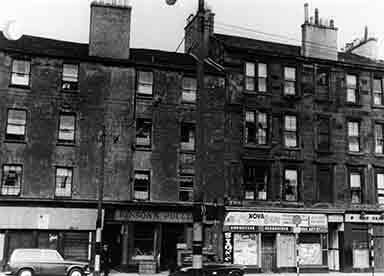 James Whyte a smart wine and spirit merchant started out with a small public house in the notorious Adelphi Street, Gorbals. His first pub was at no. 42 Adelphi Street. His residence was next to his pub. In 1861 Mr Whyte acquired another public house at 38 Crown Street. In 1870 James Whyte was now living with his wife at 20 Apsley Place, a much better accommodation than Adelphi Street. His Adelphi Street premises sat at the corner of 1 Muirhead Street. A few years later James had moved address again, this time to better accommodation, his house was called "Matrin", Albert Road, Pollokshields. Business must have been good and prosperous. In 1873 James was running a pub at 54-56 Crown Street and 43 Adelphi Street. In 1880 Mr Whyte was running another pub at 8-10 Eglinton Terrace. In 1890 he was running 8-10 Eglinton Street and his Crown Street establishment but had lost his Adelphi Street premises. 4 years later another pub was added to his small empire of pubs, 400 Victoria Road (Victoria Bar). Mr James Whyte sold the Crown Street business to Peter McMenemy in 1897. 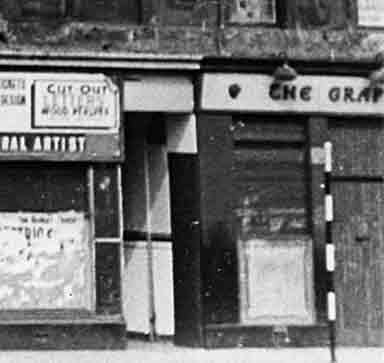 In 1960 Kenneth Grant also ran pubs at 705 Gallowgate (Crown Bar) and 143 George Street.